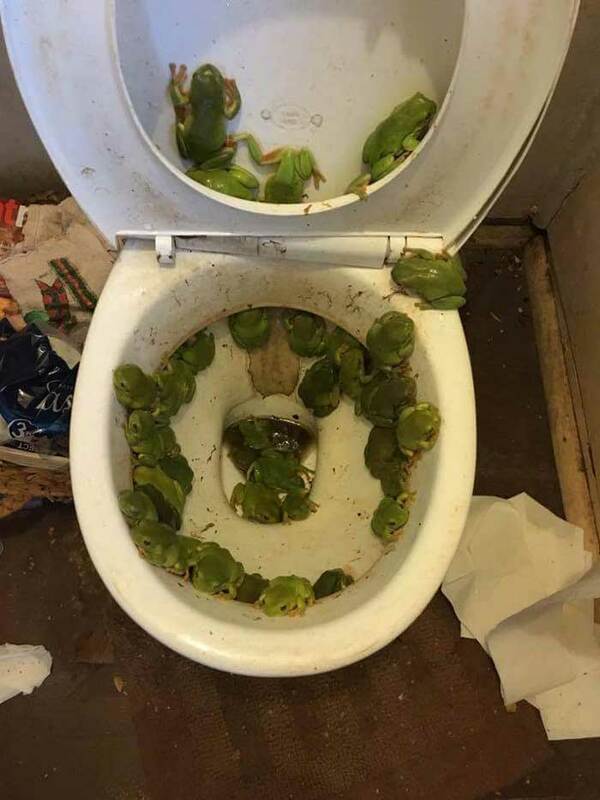 Strangely enough, I saved a copy of that exact same image last night, saving it as "frogs in the bog.jpg"
What on Earth could be the backstory? Lukas: The blurb I read was it was after a flood. But y'know, the internet.. take it with a pinch of salt.